As a family-owned and family-operated dealership, many area drivers have built relationships with the team here at Mercedes-Benz of Rochester. Every day we work hard to earn our reputation for offering some of the most competitively priced and most luxurious vehicles around Macomb, Utica, Sterling Heights, Troy, and Rochester Hills. From our new vehicle inventory stocked with every new Mercedes-Benz model to our diverse selection of pre-owned vehicles that features a wide range of makes and models as well as Certified Pre-Owned Mercedes-Benz vehicles, we’re confident that there’s a car waiting for you. We know that not just any car will do, and that’s why we work one-on-one with each driver to figure out what you need and determine which of our models fits those needs. 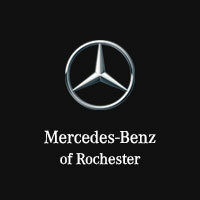 We do more than just sell cars here at Mercedes-Benz of Rochester; we work with you to make sure that your next vehicle is long lasting as well as affordable – you can fill out our finance application online. After you leave our dealership, we hope you return when it’s time for a tire rotation, and if your vehicle is giving you trouble, our state-of-the-art service center is staffed with techs trained in the ins and outs of Mercedes-Benz models who will put you back on the road in no time. Drivers expect superior performance, cutting edge technology, and exquisite style from a Mercedes-Benz, and as a dealership, that means we owe it to you to give you our all. Visit our showroom to see what has brought so many drivers from nearby Macomb, Utica, Sterling Heights, Troy, and Rochester Hills to Mercedes-Benz of Rochester, and remember to contact our team today if you have any questions.